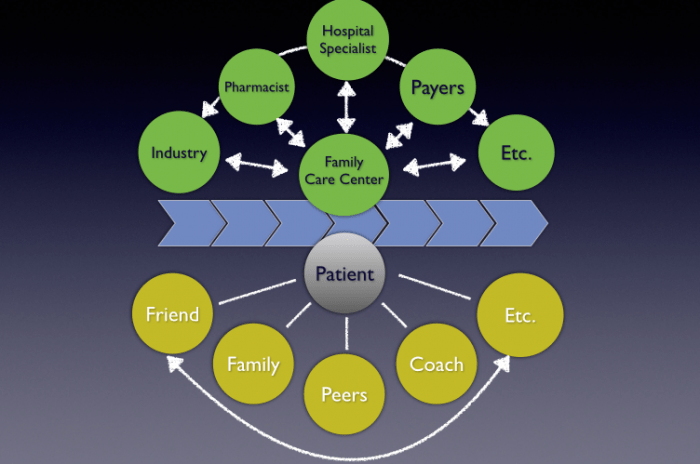 Part 2 “Integrate” should be the trend of health care development in 2014. Health care is very much in transition. Have a quick look at the trends in health care 2014 . Now, try to predict what the outcomes will be of all these well intended developments? Due to changes in structure of processes, organizations, patients journeys, devices, drugs, apps, telemonitoring – health care will run the risk of becoming highly fragmented, maybe even chaotic. Let’s hope that professionals and their patients still do know their way around. Can this be prevented? As costs will drive change for the coming years, I guess not. Health care is fundamentally being transformed. Why? Because it has been righteously disrupted and it will take time before a new satisfactory system has emerged. Do we need to wait for that? No! We have to see how we can construe things in a more informed perspective. First then, can we give a vision of future care? We have seen several experimental visions. See for instance Windows or Kaiser Permanente . Great views, but inspired by technological and information developments. Inclusive, “all-in”, technologies supporting to all stages of caring and functional for all stakeholders, are still to be construed. Imagine, they need to be implemented, brought to practice, being used by persons with interests and emotions, professionals and patients, not just the innovator or early adopters. It is not a matter of technology alone. Besides, “visions” only, do not inform about how we need to develop. But, there is a directive to give that constitutes the basic principle for moving forward: both because it is immanent to all needed developments to better care, and because it creates the opportunity to developments in oversee-able steps of change. Every party can draw its own choice on this to design a proper blue print to their process of change. This principle directive is: Integrate, integrate, integrate. Integration in care is about the unification of both parties and activities, aided by technology, devices, information and medications, to create better care for health and its outcomes. Integration will lead to better connections of different partners who are needed for a specific path or process of care. It will stimulate collaboration and coordination of activities between them. They will aim for better outcomes and higher effectiveness of care. It will lead to opportunities for more efficient arrangements of expertise and allocation of capacity of care givers. With the compound of interests of the key players in care, patients included of course, costs can be more rationally arranged which will lead to lowering prices of care per patient per year. It will also inspire higher transparency of processes and will offer patients clarity about details of the caring activities themselves. 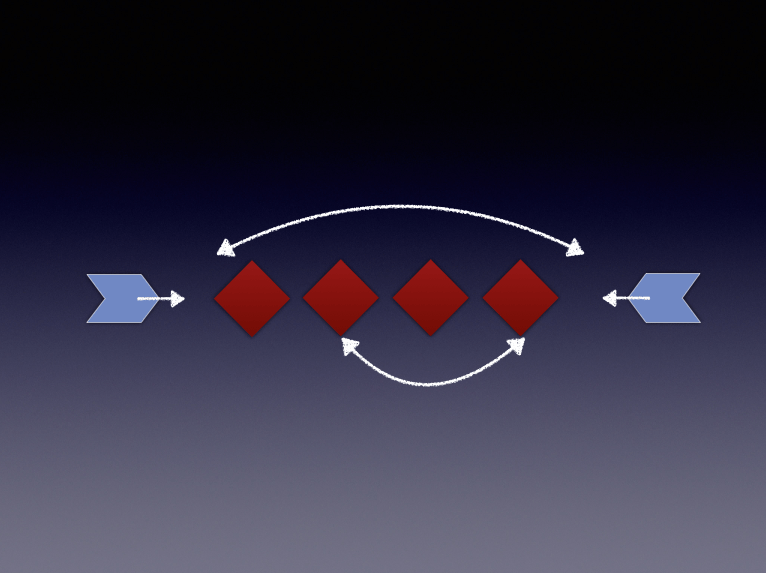 There are three different kinds of integration. Each, open to start with. So, any party may pick and start its own game changer. Even any couple of parties as intended partners, may do so too. Choose the most easiest entry to your future development together and enjoy the ride! There are numerous ways of how different parties may work together to join their activities in the provision of better care. Vertical integration between hospital and family care regarding chronic care paths like COPD, diabetes or cardiovascular risk management. Also between rehabilitation and care at home, etc. The more unified, the better and sustainable outcomes can be achieved together. This integration may go through steps of increasing unification, hence allowing for building trust and insight into each other’s interests and routines. Insights that are needed to understand and build sustainable partnerships. Of course, these steps of integration may lead to internal change processes as much as external adjustment with (a) other parties. Mind you, the internal processes of change are often much tougher than the external ones..
As co-operation seems a familiar thing to do, as we are all working together in some way, it gets tougher when cooperative intentions are due at the heart of primary processes of organizations: the caring process itself. Multidisciplinary work is hard enough to perform within a care center. Working together in the same primary process with people from outside of the organization will need review of primary conditions to success. Methods of co-creation do fulfill that extra need to lift cooperation above “just working together”. A focus on building new processes or on restructuring these, can be developed through such uncluttered steps like: Outline Current activities – Structure – Synthesize – Optimize. In this path of development, the need to accommodate for interchange between stakeholders off and on-line, might rather easily be addressed. But imagine the time needed to achieve such steps. These changes do not come easy or quickly. But at least, one may sketch the process of change and enable committed people to build trust in the way to go. 3. 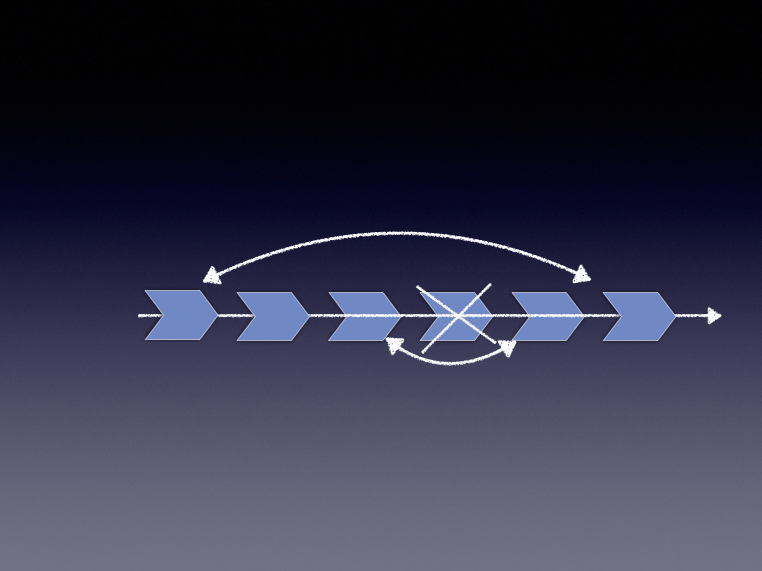 Integration by Experience Co-Creation. Until this point, I left the issue of cooperation with patients as self-evident, but implicit. 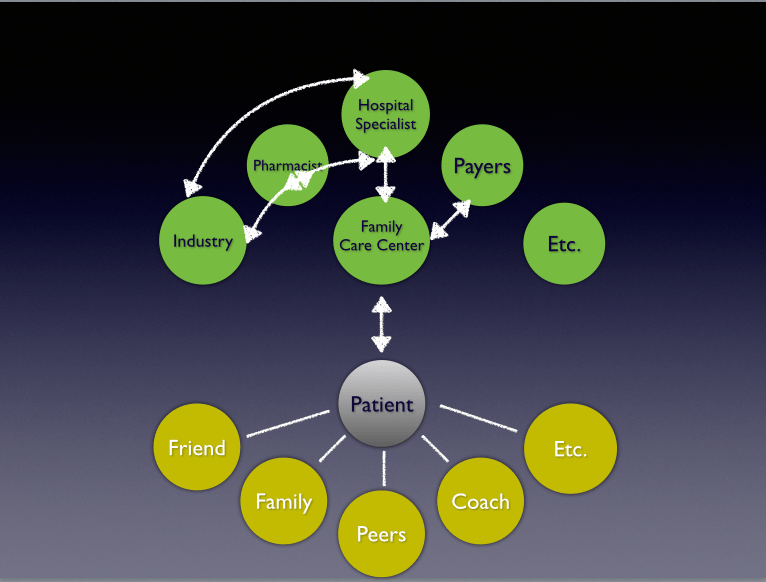 Experience Co-Creation aims at designing care processes explicitly with patients’ needs as starting point. To briefly explain it here, you can best think of co-creating patients’ experience in care, allowing for all related partners to join in. Of course, with patients themselves. Although it takes to know these methods more elaborately to implement, still the starting point will not be too difficult to appreciate: patients first. (see here) If you feel up against this, why not do so. If you think, like me, this is what ought to happen, just do too. Remember, human change and development, and going beyond one’s proper interests, takes a bit more than just good intentions. To allow for an orientation on partners and for adopting internal change , might suggest a less bolder initiative than experience co-creation. Although, believe me, methods of experience co-creation are suited to accommodate for these concerns. It is your proper choice that decides, I would say. Aiming at participatory care, or enabling patient self management, are definite objects of development that will flourish by experience co-creating methods. and: Get together, get to understand each other, structure and redesign. Our experience with these approaches demonstrates participants to be pleasantly surprised by a lot of new insights into the interests of other parties, not known before: they get highly motivated by it. A motivation that is so needed in contexts of disruption. Is there a boundary to some parties as opposed to preferences for those that might bound in collaboration better? No. In fact, co-creative partnership may emerge from any couple of parties. And I mean “any”. Between caregivers and industries alike as between caregivers, and between patients and all. For that very reason, I am convinced that we may get forward better when the directive of integration is the principle to follow-up for innovation and development of better care. – and to quick start your own concrete initiative.